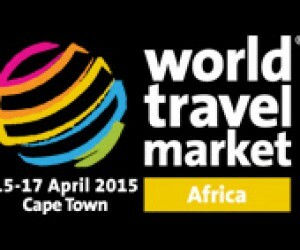 WTM® Africa 2015 will officially be opening its doors on Wednesday, 15 April at the CTICC in Cape Town. Apart from showcasing over 500 exhibitors this year, Africa’s largest B2B inbound and outbound travel exhibition will wow visitors with a series of debates, seminars and talks from a vast array of speakers covering a wide variety of interesting industry related topics. This year, WTM® Africa also welcomes five of South Africa’s provinces; The Western Cape, The North West Province, The Northern Cape, Gauteng Tourism and Nelson Mandela Bay. The comprehensive events programme won’t disappoint with sessions such as the WTM® Vision Conference which will be highlighting the evolution of tourism. Internationally acclaimed Travel Dudes and iambassadors will discuss how international travel bloggers are changing the media landscape and how the travel industry can collaborate with bloggers to promote a destination. Also included in the programme’s exciting line-up is an assortment of presentations by revered African and International associations such as the South African National Biodiversity Institute (SANBI), the African Business Travel Association (ABTA), Southern African Tourism Services Association’s (SATSA) and International Gay and Lesbian Travel Association (IGLTA). Revinate’s Alana Witte, will be presenting a session on next generation hotel marketing, discussing the need to switch from “all-about-me marketing” to targeted, guest-centric marketing. Witte leads Revinate's accelerated global growth in the Middle East & Africa, building upon Revinate's already existing 23,000 hotels in 143 countries. The press can look forward to Swaziland Tourism Authority’s presentation on the Kingdom’s hotel and tourism environment, the opening of the new KM III International Airport and their successful Rhino conservation. Look out for Travelstart’s CEO, Steven Ekburg as he discusses failure and success stories within the industry, with a specific focus on the way that technology has changed over the years and how it has affected content distribution and the mobility of products and services. The WTM® Africa Responsible Tourism Programme, brought together by Professor Harold Goodwin with a panel of local and international speakers, will discuss why Responsible Tourism matters and why it makes business sense. The Responsible Tourism Programme will also include a session which focuses on how resource efficiency cuts costs and improves the bottom line, as well as being good for the environment. The panellists will share their experience of reducing the carbon and water intensity of their businesses and reflect on the financial and environmental benefits. The heroes of responsible tourism in Africa will be honoured at the 2015 African Responsible Tourism Awards ceremony. This inaugural event forms part of World Travel Market Africa, and the prestigious World Responsible Tourism Awards. WTM® Speed Networking sessions will be taking place at WTM® Africa 2015, these sessions have become a key part of the show, bringing together exhibitors and senior buyers. WTM® Africa’s 2014 inaugural edition recorded remarkable results which saw approximately 4,000 industry professionals negotiate deals worth $314 million (£189 million). 2015’s exhibition is set to exceed expectations and surpass 2014’s statistics, making this premier showcase a worthwhile investment for all stakeholders. Associate Professor in the Tourism and Event Management at the Cape Peninsula University of Technology, Kamilla Swart, will also present a panel sessions discussing ways in which research collaboration and knowledge sharing can be fostered among various role-players – public and private sectors and academics and Nick Hall, CEO of the Digital Tourism Think Tank will bring together some of the world’s leaders in shaping the digital travel landscape later in the afternoon.